On Tuesday I had the absolute pleasure of meeting my new class and spending the day with them getting to know them. It was lovely. We started the day with a game of Class Bingo where we had to find children who had certain things. For example, I discovered that Hannah has a dog! It was a great way for us to get to know each other and the children all enjoyed learning new things about each other. 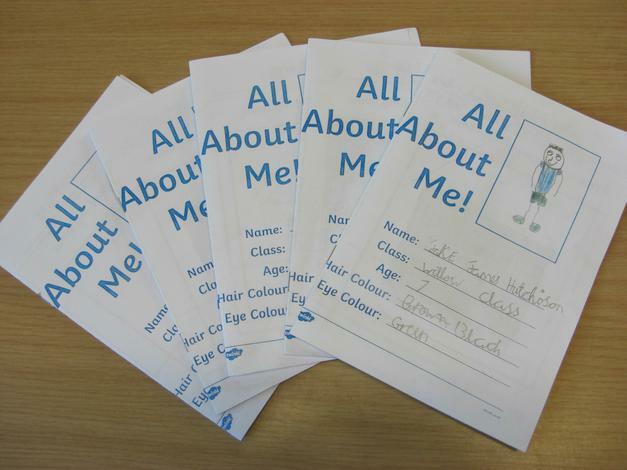 After a little while we started our All About Me booklets. The children spent some time telling me what they enjoy doing both in school and out of school, who their friends are, about their family and many other things. They all worked so hard. 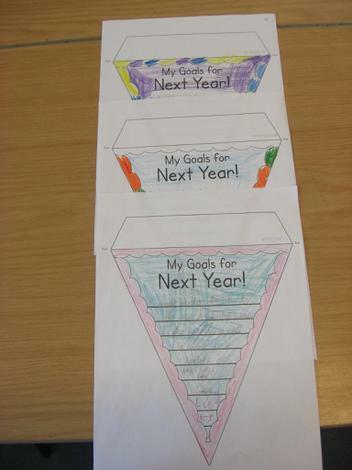 The final activity we did was our goals for next year. The children each spent some time thinking about what they could do well now and what things they struggle at. We then wrote down on a piece of bunting what our first goal of next year is going to be and decorated it. I am going to display these on a wall in September so the children can be reminded when we come back. I was really proud of how reflective they all were and how sensible their goals are for next year. I know that the children will all step up to the challenge of being in Willow class next year and I hope they will enjoy it. I am really looking forward to teaching them.